Earlier this year I put out a plea for a new logbook and managed to get one, however it’s nearly full, it won’t last until the end of this year, it may not even last until the end of November. 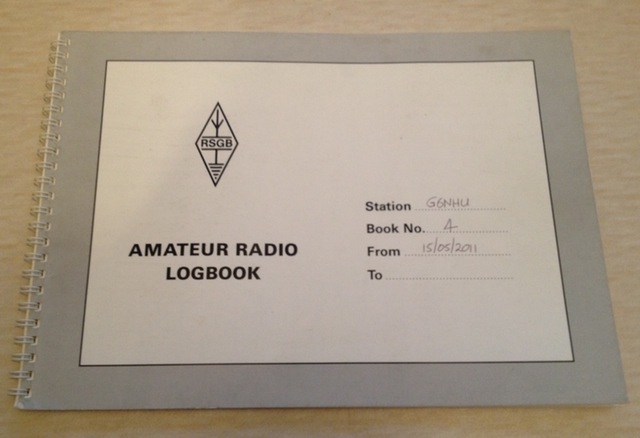 Does anyone have one (or more) of these vintage old RSGB Amateur Radio Logbooks stashed away anywhere that I could buy please? I’ll pay for them, a fiver each (plus postage). I know that the requirement to keep a paper log was removed some time ago but I still like to write all my QSOs in my paper logbook and as all my logs have been the same type, I’d like to carry on using the same style book. You can contact me either by adding a comment to this post or via the link on the ‘What is QSO365?‘ page. This entry was posted in Amateur radio and tagged Logbook, Plea, Request, RSGB. Bookmark the permalink.